Two months of never setting sun. Two months of never rising sun. 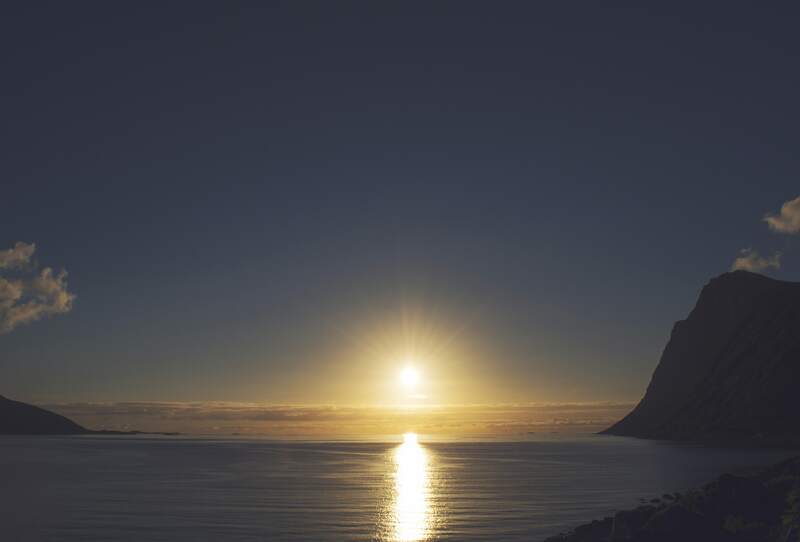 While this sun cycle phenomenon is nothing new, perhaps no other place embraces it like Tromsø, Norway. A small island “city” (population ~80,000) sitting at 69 degrees north latitude, it is a vibrant community of outdoor enthusiasts that prioritize their outdoor passions over work. This is evident on any good weather day when most offices see people sneaking out early to go for a hike or skiing/snowboarding. Now, you would be ill informed if you think Norwegians are not hard working, they are, but in the grand scheme of life, they realize family and fun is more meaningful to a happy life than work related stresses. This work-life balance is a common trait in all Scandinavian societies, and it is the best thing I have learned in during my 3 years living in Norway. About 10% of the population are students at The Arctic University of Norway (University of Tromsø), the world’s northernmost university. 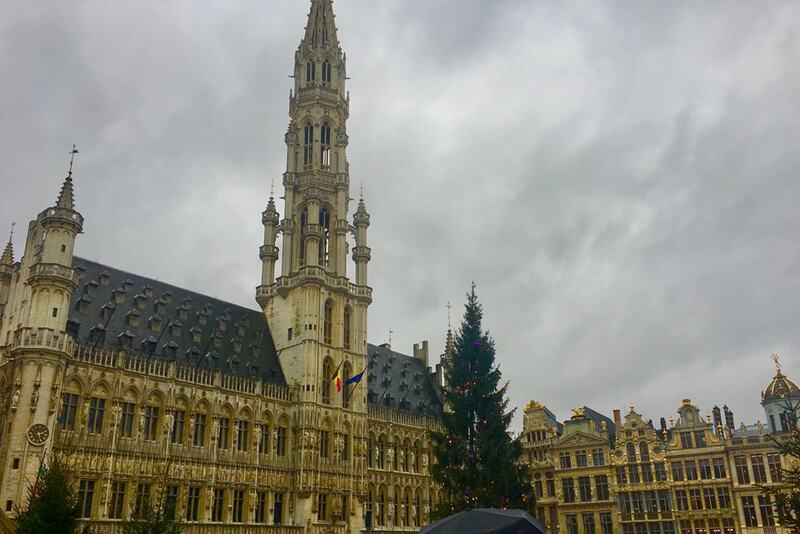 While seemingly remote on a map, the university draws people from all over the world thanks to its dedication in attracting diversity and talent in its faculty and student population. 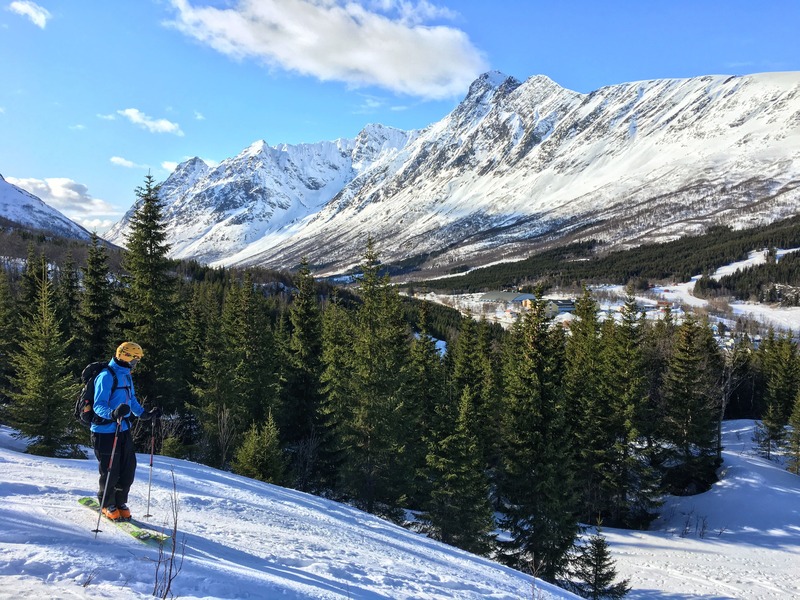 But let’s be honest…it is the raw nature and beautiful wilderness that really attracts people to Tromsø, and once you see it for yourself you will understand why. 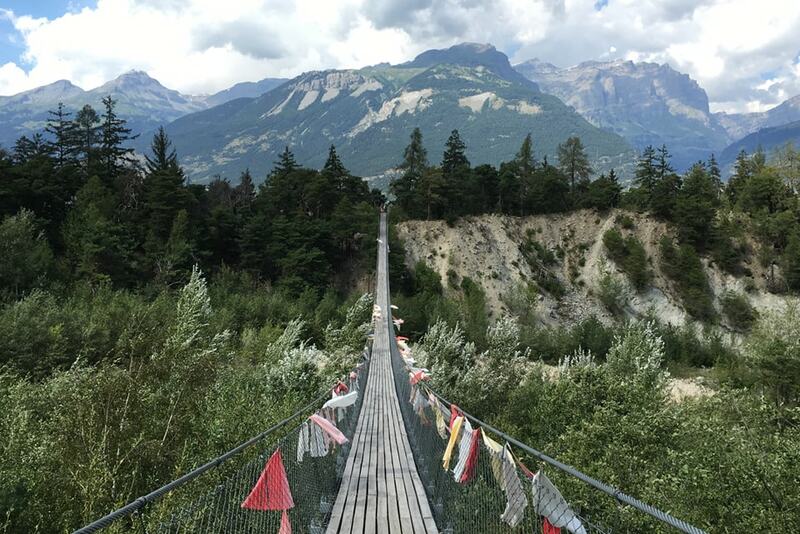 Completely surrounded by mountains, the area is known worldwide as a hikers paradise. This includes wintertime when people trade in their hiking boots for ski and snowboard boots. From small 500-meter mountains to towering 1800-meter mountains, this place has it all and is globally known as a backcountry ski/snowboarders dream destination. 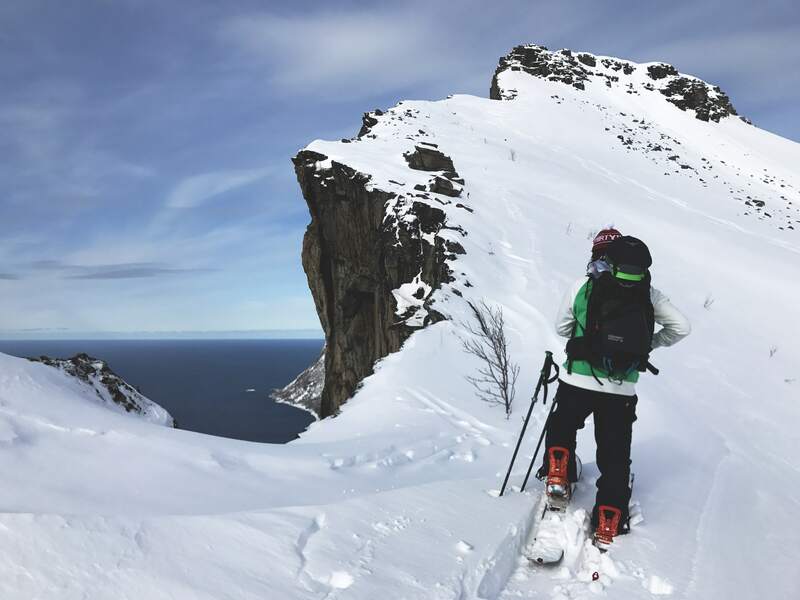 With local destinations including the Lyngen Alps, and the islands of Senja and Ringvassøya, thrill seekers can shred rock walled couloirs with knee-deep snow, while beginners can enjoy smaller snow covered terrain. Most amazing is that the mountains start at sea level, so altitude effects are non-existent during summer hikes and winter ski tours. 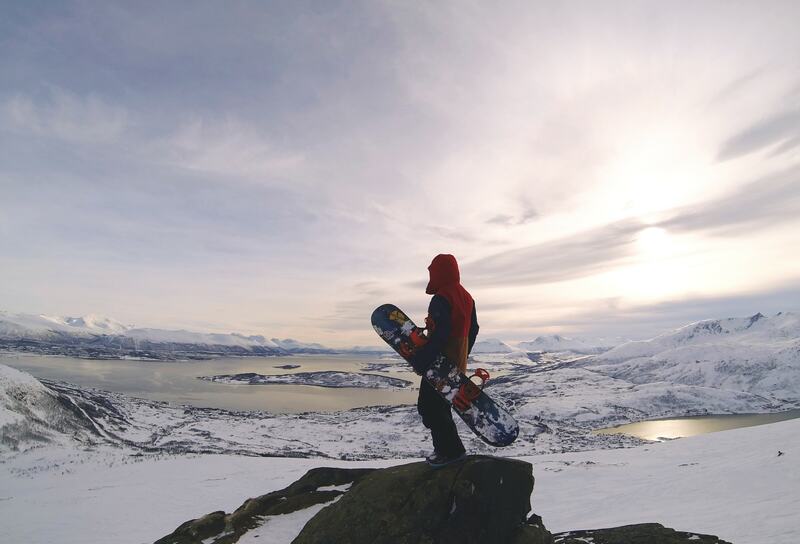 @glenn_morello overlooking the Tromsø region prior to descent. When the sun finally begins its disappearing act in November, people in Tromsø retreat to their homes, get cozy (“koselig” in Norwegian) by the fires and candles, and wait for the next event; snowfall. Snow begins to fall typically in November but it is usually coupled with rain and ice in the early season, making the mountains quite sloppy and unstable. The best snow for outdoor activities typically begins to accumulate towards the end of January…exactly when the sun begins to return. So maybe the suns sense of humor is not that twisted after all? 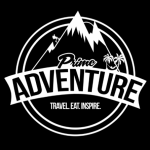 February, March and April are the prime backcountry ski/snowboard months as the snowfall continues while the sun regains control of the day. Snow stabilization happens quicker in the spring and the entire population seemingly takes to the mountains. I dare you to find: (1) a person here that does not at least cross-country ski, and (2) a parking place that is not filled with cars on a sunny spring weekend. 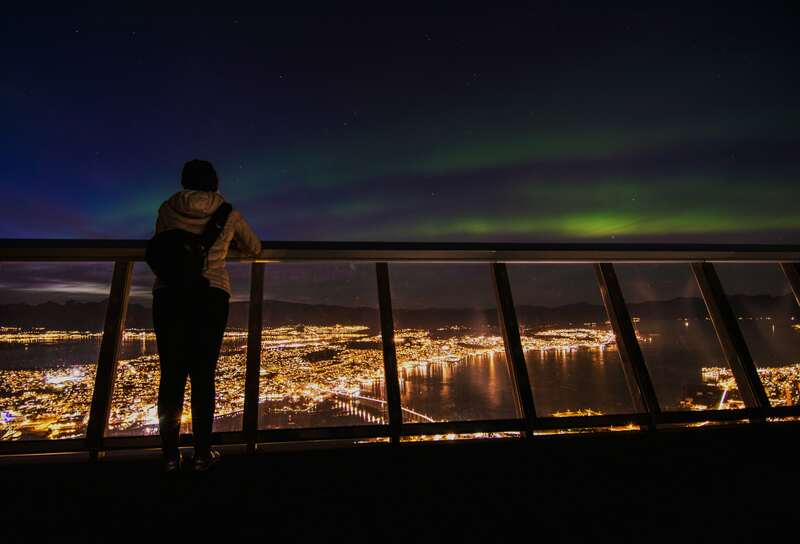 During the darktime (“mørketid”) and ski season, when the sun stops rising, Tromsø is one of the best places in the world to view the natural phenomenon known locally as nordlys…the northern lights. When the sun finally sets long enough for dark nights, the shows begin. The past three years have been extremely active solar years, resulting in powerful aurora (be sure to read my follow up blog about the northern lights covering the science behind the phenomenon and capturing them on camera). 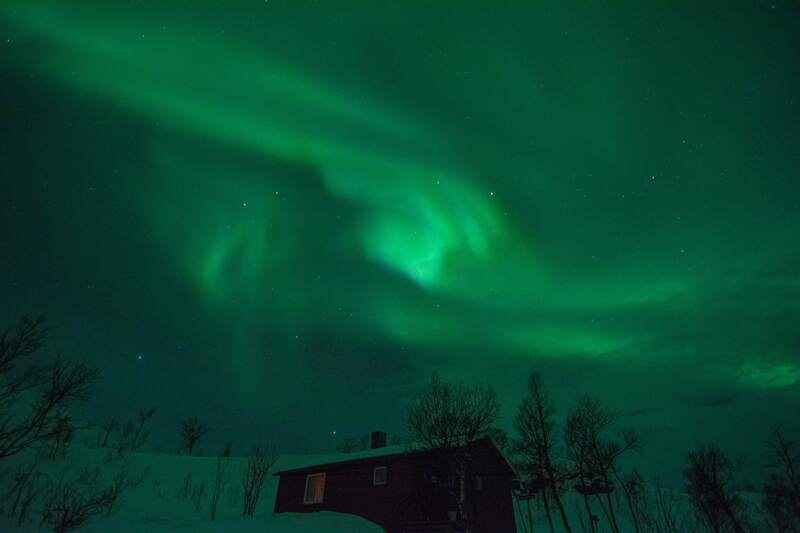 Scores of tourists come here throughout the winter to experience the northern lights first hand. 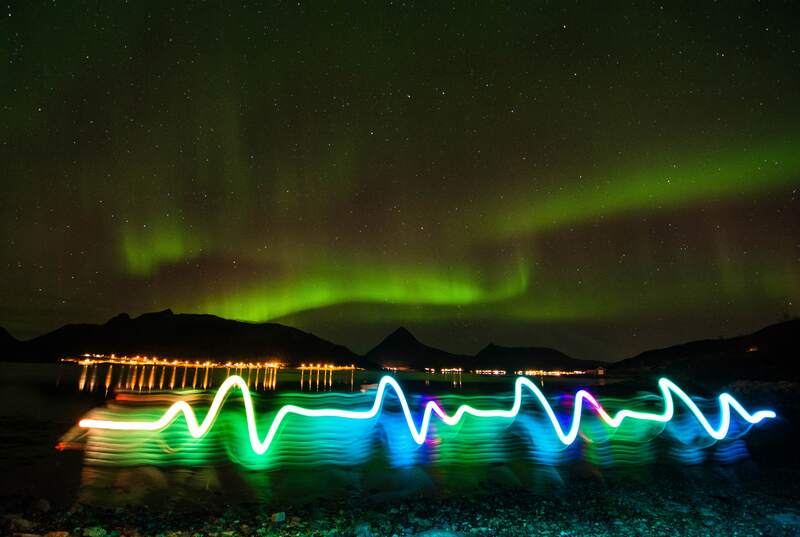 With the amazing backdrop of mountain peaks, fjords, and ocean everywhere, it is no wonder why aurora chasing is a booming tourism industry here. Nordlys season in Tromsø lasts from roughly September to March. To make it one of the best experiences in your life, I suggest camping in October, making a fire, and waiting for the aurora. With all this talk of darkness you might think living here is difficult, gloomy, and depressing, but the attitude here is quite simple: stay active and look forward to what is next. In the summer you look forward to mountain hikes and camping under a never setting sun. In the fall you look forward to magical sunset colors and watching aurora dance in the sky above your head. In the winter you look forward to backcountry adventures with your friends in serene mountain settings. In the spring you look forward to 3-hour sunsets while the sun makes its slow comeback, amazing ski conditions, and the approaching summer. This cycle repeats every year and the whole community continues looking forward instead of wasting time worrying about how dark the days might be. This teaches us expats a good lesson: do not get bogged down in the daily grind. Look forward and always be ready for the next big adventure. 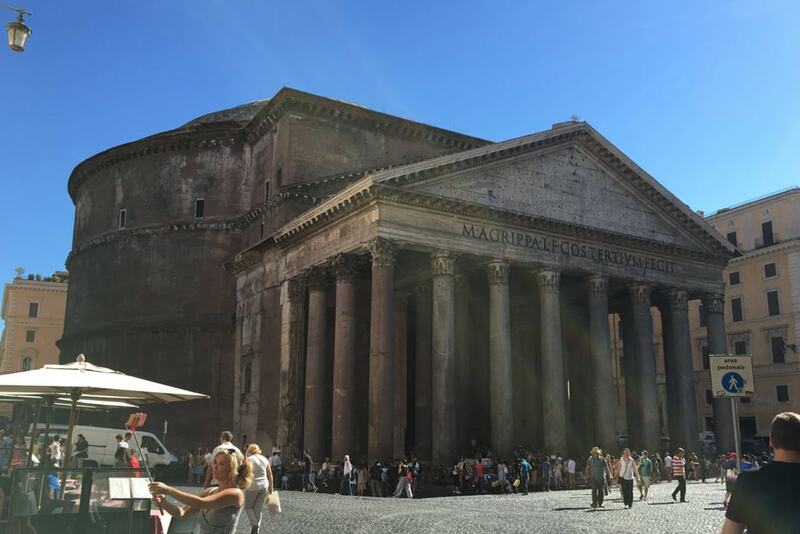 Check out more of Glenn's adventures on Instagram: @glenn_morello.